PGL has been part of our family life since both our older kids went with their school. These adventure holidays and summer camps are all smiles from start to finish. Kids try out new activities, while parents get peace of mind knowing that everything is taken care of by professionals. Safety is first and foremost, with fun a close second. Our adventure holidays are a very special kind of fun. For a start, they are just for 7-17 year olds with a diverse choice of almost 30 unique holidays at centres across the UK and France. They’re all about your child meeting new friends and gaining independence and confidence, trying new activities in the great outdoors. 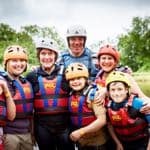 With expert tuition and careful supervision, children can try their hand at any number of amazing activities from abseiling and raft building to motorsports and sailing. There’s no such thing as a typical day at PGL! With almost 60 years’ experience in pioneering children’s adventures, we understand how different every child is. That’s why we work in small groups for ages 7-10, 10-13 and 13-16 (9-17 in France) to create good group dynamics and put even the most nervous children at ease. 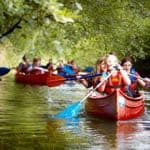 For most children, it’s their first time staying away from home so to give PGL first timers a ‘toe-in-the-water’ experience and a chance to see what we’re all about, we have developed a range of two or three day Introductory Adventures. We’ll squeeze as many activities in as we can, and your child can take comfort knowing everyone else in their group will be new too. Our Introductory Adventures cost from only £99 including all activities, equipment, instruction, food and accommodation. If you book with us again this year, we’ll refund the cost of your first Introductory Adventure. 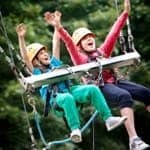 We also offer PGL Family Adventures so you can try amazing new experiences and have fun together as a family. Watch your children’s confidence grow – and your own – as you take part in exciting activities by day, and enjoy sociable evenings together. We take care of everything, leaving you free to simply have fun and build stronger relationships through challenge and adventure. We believe it’s a winning formula that families love, creating memories that last a lifetime. 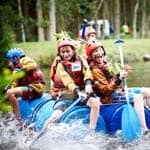 Find out more about PGL adventure holidays and check our latest special offers.